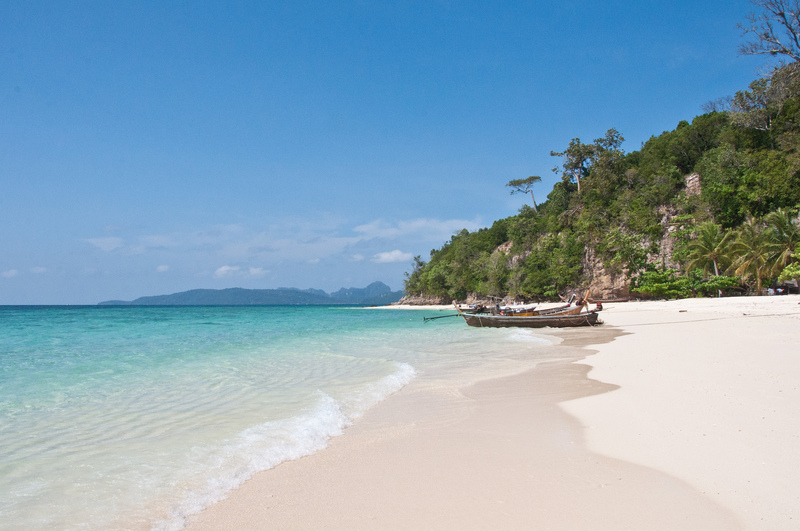 Monday Blues Are Better on a Beach in Thailand. I’m wrapped up in layers amid cold winds from the Arctic and dancing snowflakes, on the streets of New York. A faint sun curiously peeks out from a gloomy sky, transporting me back to winter last year – a foggy Delhi I found myself stuck in when a sponsored international trip bailed on me days before the new year. I remember sitting on a terrace under the hazy Delhi sky, desperately looking online for flights that could take me far, far away. As luck would have it, I found a flight to Thailand for only INR 8000 ($120) – when most domestic flights were upwards of INR 30,000 – and impulsively decided to book it. One hour before New Year midnight, I arrived at Bangkok airport and hurriedly got a visa-on-arrival stamped on my passport, checked into a nice yet inexpensive hotel, and went out to a local restaurant to fire up my taste buds with a vegetarian yellow curry. Just as I was finishing, a group of young Thai boys and girls invited me to join them for a new year street dance! 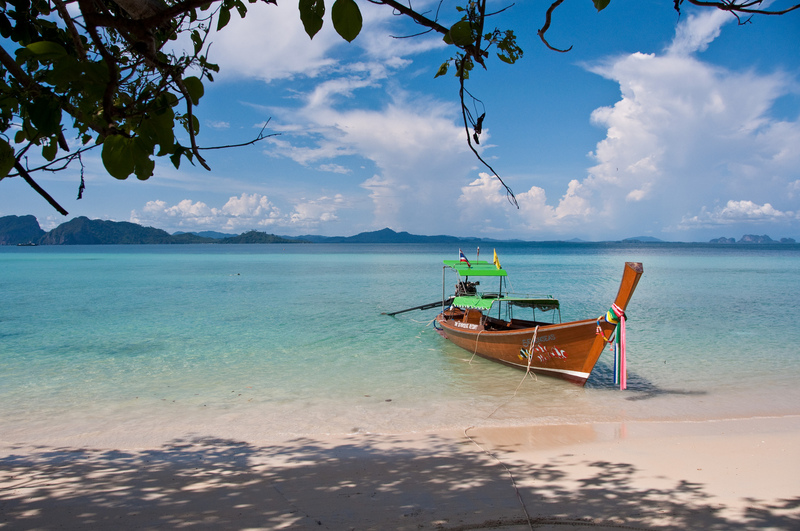 That is Thailand – a country that can make your life more fun in an instant. The east meets the west in Bangkok. 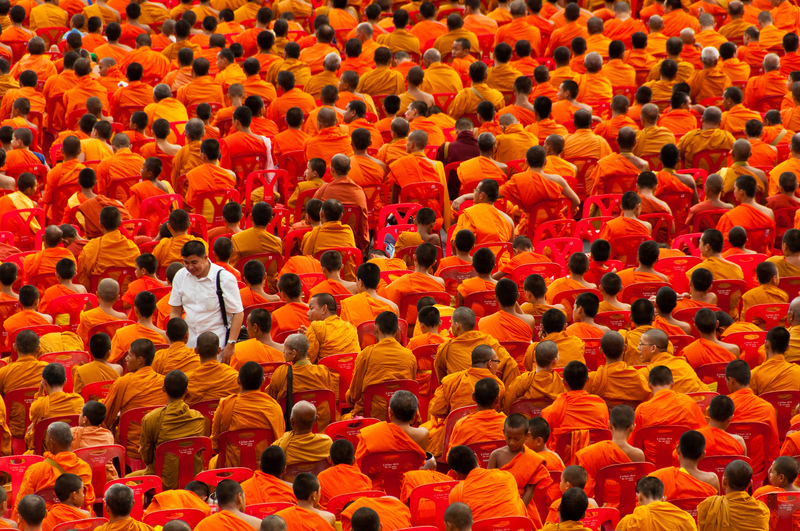 A ceremony of monks in Bangkok. Photo by Mark Fischer. Bangkok is an immersion into the bustling night markets, cultural oddities and chaos of the east, as much as in the indulgences of a developed country – yet only 4 hours flying time from India. (Read: Going Back to the Places We Love). If you’re a city person, let it whisk you away into a world of branded shopping and glittering skyscrapers. Or take a colorful open tuk-tuk, pray at an extravagant Thai temple, grab a Thai beer, go bargain hunting at a floating market and bask in the warmth of the shy but joyful Thai people. Monday blues are better on a beach. Monday blues worth waking up for. Photo by Mark Fischer. What’s better than a weekend of flip flops, sunny weather, balmy beach cafes, and snorkeling in the clear blue seas of the South China Sea? Doing it on a budget, without months of planning, over an impulsive long weekend getaway. There’s a different kind of charm to island living in the east, spicing your life up with curries by the day and shaking a leg under the starry night sky – and despite its popularity, Thailand can still surprise and rejuvenate you with a pristine beach all to yourself (Read: Of Hidden Beaches, Broken Boats and Beer). Keep calm and cycle on. 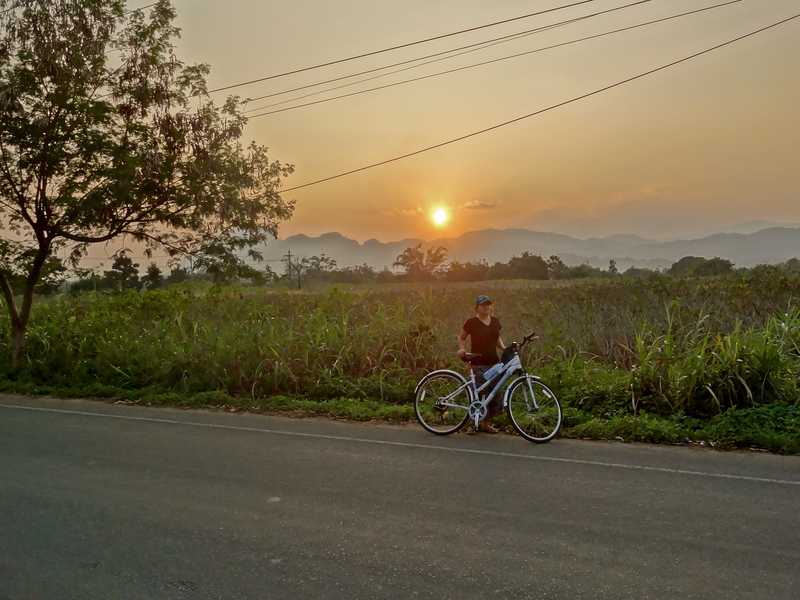 I discovered my love for mountain biking in northern Thailand, where sleepy villages, rice paddies, gentle hills and winding rivers dot the countryside – a short plane ride away from Bangkok (See: In Photos: The Countryside of Northern Thailand). 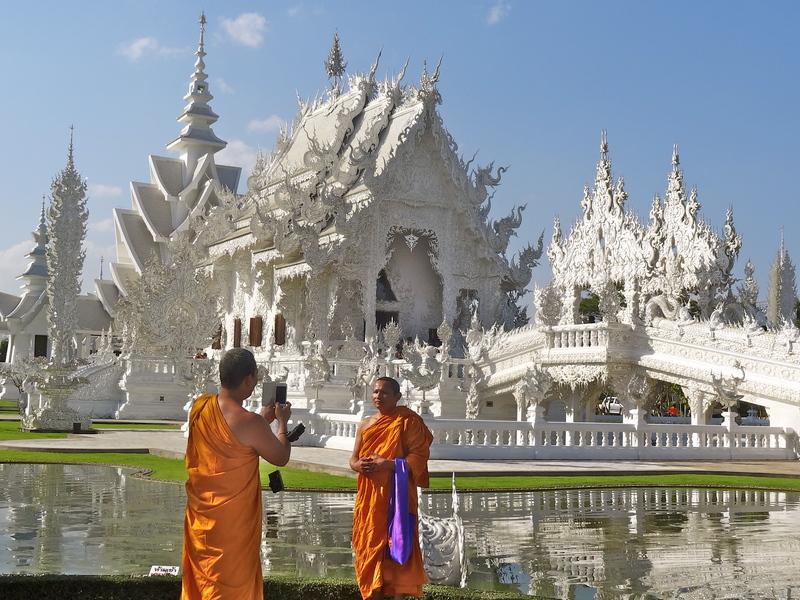 On my rides with a friend, we met tattooed women of Chiang Rai’s hill tribes, soaked our tired feet in natural hot springs and discovered the marvelous White Temple, which portrays heaven and hell in a (freaky) contemporary context. There was a time when ‘going abroad’ from India was only for business travelers, honeymooners and those with deep pockets. Cheap flights, visa on arrival and Google have changed that – so maybe it’s time to re-think the way you spend your long weekends. Stunning moment at the stunning White Temple. Where are the long weekends of 2015 taking you? Featured photo by Mark Fischer. Thanks Sumedha for your heartwarming comment. Really made my day 🙂 Hope our paths cross somewhere soon. I’ve stumbled upon your blog just yesterday and would like to nominate you for the Versatile Blogger Award. Have a look at my latest post to find out more and to see if you want to accept and take part yourself. I could reflect myself in your short description as I also quit my job to follow my passion. Also very very nice photographs I must say, makes me want to travel again myself!!! I’ll keep following & curious to hear more about your adventures! Thanks so much! I hope I’m not too late, been drifting in and out of connectivity the past few weeks. I’ve only recently started working on my photography skills; glad to hear my photos made you want to travel 🙂 Hopefully you’ll see them getting better! Thanks for stopping by. Great shivya, keep going and enjoy the whole world trip, i also want to experience the same journey its my dream. Thanks for a heartfelt comment 🙂 I hope there are some great adventures in store for you too, when the time is right. Until then, I’m glad for your virtual company! Awesome photos Shivya, i can see your life is full of excitement keep going on. That beach! I want to be there now! Previous PostUS Tourist Visa For Indians: Tips and Requirements. Next Post6 Months, 6 Countries: Epic Memories from Central America.